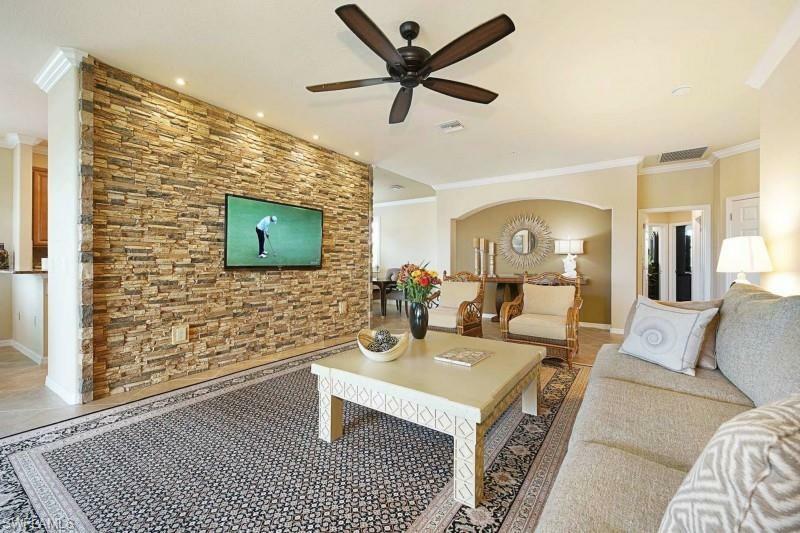 Professionally Decorated Coach Home located on the second largest lake in Bonita National Golf and Country Club. 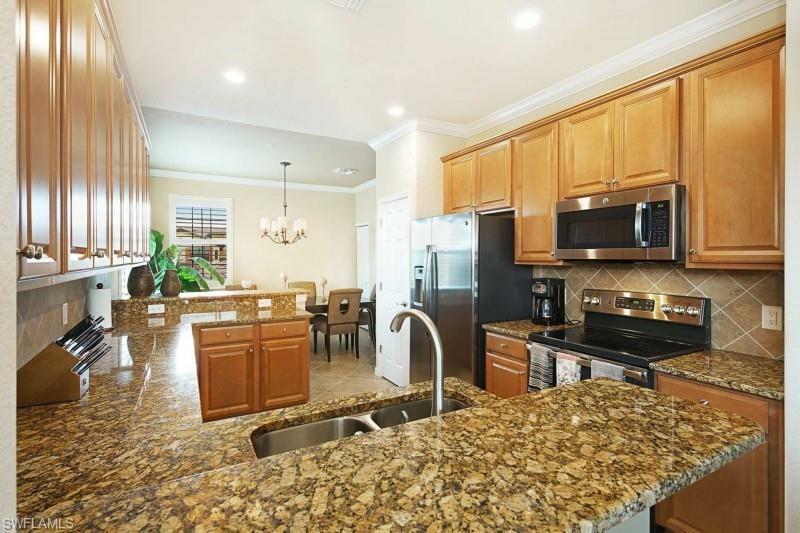 This home comes with a golf membership.It has plantation shutters and crown molding throughout the unit. This is a 3 bedroom 2 bath Coach home. California walk in closets(2) in the Master bedroom. The kitchen has been re engineered to provide work space and light.The Great room has a brick Cappuccino wall. 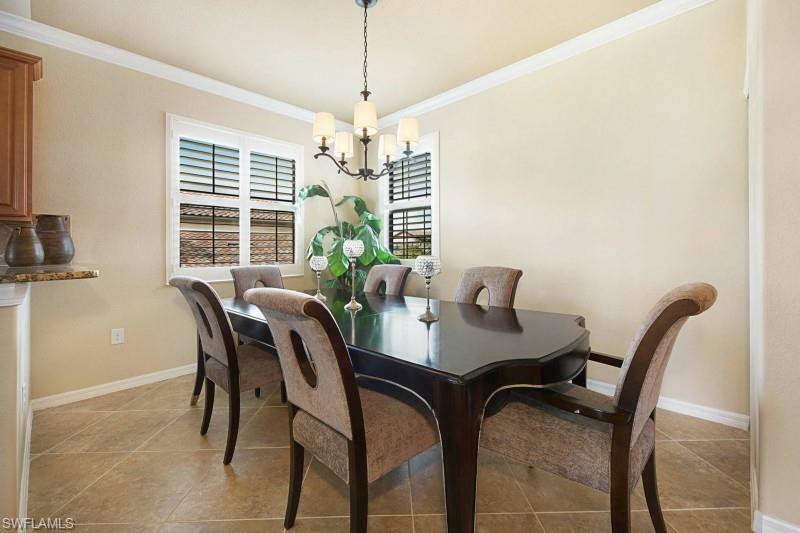 The walls have been repainted with Sherman Williams Kilm Beige paint and the formal dining room and master bedroom ceilings painted in Sherman Williams Latte to give the illusion of Trey ceilings. An electric power shade installed on the slider to the Lanai matching the Cappuccino wall.This unit has a western exposure for great sunset views.